For light weeding, raking and topsoil work. This item requires a H4 handle - standard length 47" Longer length handle also available order H4L 55" For digging in heavy soil please choose our Heavy Duty Canterbury Fork with H-H7 handle. 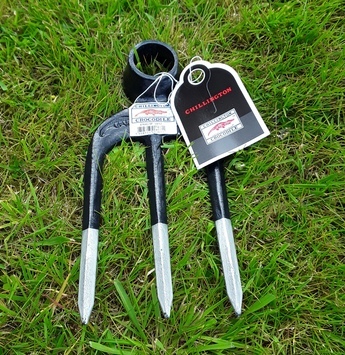 Chillington Tools offers you the ultimate in Canterbury Fork (Head Only)s as well as a full range of other Digging Hoes & Handles available online.